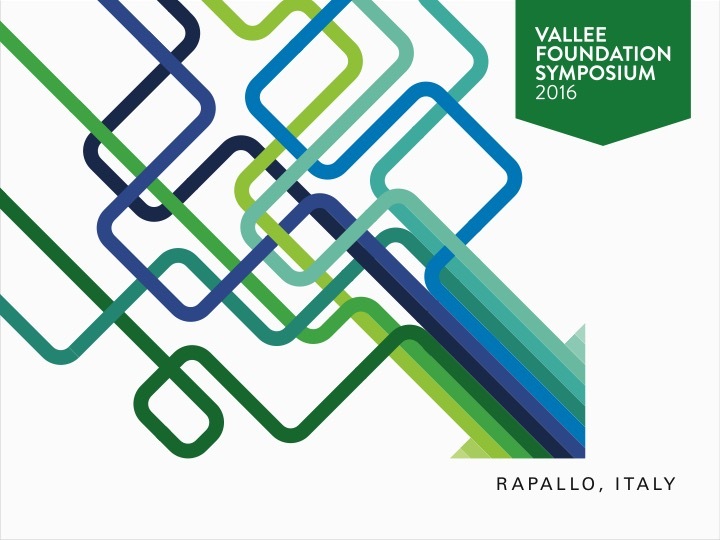 The 2016 Vallee Foundation Summer Symposium, organized by Gordon Hammes (VVP 1999, Duke), Jesper Haeggström (VVP 2008, Karolinska), Peter Howley (VVP 2009, Harvard) and Ernst-Ludwig Winnacker (VVP 2012, Munich), took place in Rapallo on the beautiful Italian Riviera from June 17-20. It was unthemed and brought together selected Vallee Visiting Professors and Young Investigators in the spirit of fostering collaboration among scientists worldwide. The meeting featured five formal sessions and a poster session presenting selected trainees* who had been nominated by the VVPs. Ample opportunity for informal discussion was provided over the delicious meals and on the afternoon boat trip to the Abbey of San Fruttuoso and the picturesque harbor of Portofino. The high winds and rainy squalls that greeted us upon arrival at the Excelsior Palace Hotel miraculously abated and the sun shone on the exhilarating boat ride. From the bubbles rising to the surface in the clinking glasses at the opening reception, to the closing night’s dance and the sparkle of sunshine on water visible from every window in between, Rapallo proved an ideal location for scientists to get together to enjoy hearing and discussing science. Click here to download symposium booklet. Following welcoming remarks by Foundation President Peter Howley, the opening session, chaired by Gordon Hammes, was devoted to formal presentations from two of the Vallee Young Investigators. Jérome Gros (YIA 2014, Institut Pasteur) spoke about his work on the molecular genetics of development using the quail as a model system. Kirsty Spalding (YIA 2013, Karolinska Institutet) then provided fascinating insights into cell turnover in human adipose and brain tissues using carbon dating. The second session (chaired by Ernst-Ludwig Winnacker), entitled “Responding to the Environment,” featured Wade Harper (VVP 2000, Harvard) discussing mitochondrial quality control, and Barbara Baird (VVP 2014, Cornell) speaking on the biophysics of spatial control of receptor-mediated cellular responses. Session 4, chaired by Wade Harper (HMS) and entitled “Cellular Homeostasis Mechanims,” featured Naama Barkai (VVP 2013, Weizmann Institute) who discussed how chromatin modifications attenuate transcription during DNA replication, and Peter Walter (VVP 2016, UCSF) who presented his serendendipitous discovery of an inhibitor of eIF2a phosphorylation through his studies of protein folding and ER stress. The fifth session, “Cancer Biology” was chaired by Karen Vousden (VVP 2016, Beatson). Suzanne Cory (VVP 2006, WEHI) discussed apoptosis and the Bcl2 family of proteins in cancer and Andreas Strasser (VVP 2016, WEHI) provided insights into p53 tumor suppressor functions. The final talk of the meeting was given by Klaus Rajewsky (VVP 1999, Berlin) who discussed B cell activation and survival of Myc transformed B cells. The meeting concluded with Alexa Mason’s unveiling of Vallee Voices and the oral history project now available on the Foundation website. The farewell evening was marked by a toast to Bert and Kuggie, an outstanding meal, thought-provoking discussions and dancing. * Sagar Bhogaraju (Goethe University); Glenda Comai (Pasteur Institut); Timothy Humpton (Beatson Insitute); Navasona Krishnan (Cold Spring Harbor); Marija Mučibabič (Leiden Institute of Physics); Alban Ordureau (HMS); Anthony Pedley (Penn State); James Sáenz (Max Planck, Dresden); Elizabeth White (HMS); and Marcus Wilkes (Cornell).